How do you follow up a day of swimming with Sea Turtles? You can’t! We go out, continue to just do whatever comes along and of course, eat. We’re going to take a drive and head out towards North Shore. First things first, eat breakfast! 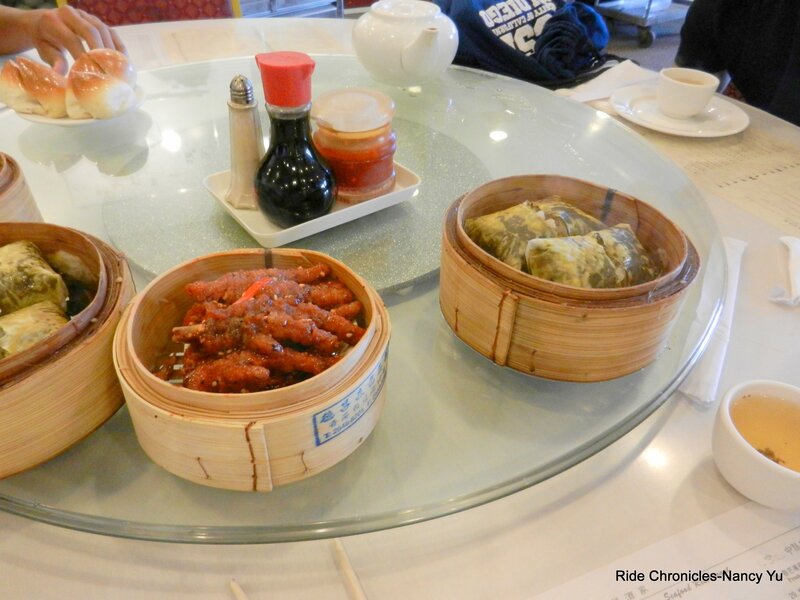 We decide on Dim Sum and make our way to Chinatown. Fook Lam is located along the riverside at the Chinese Cultural Plaza. 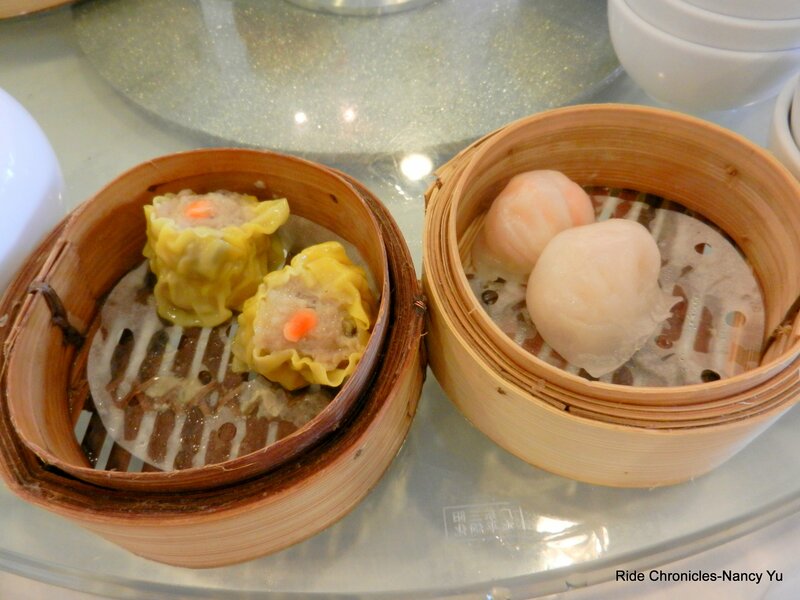 Having Dim Sum for breakfast is a nice change from the standard American Bacon & Eggs. 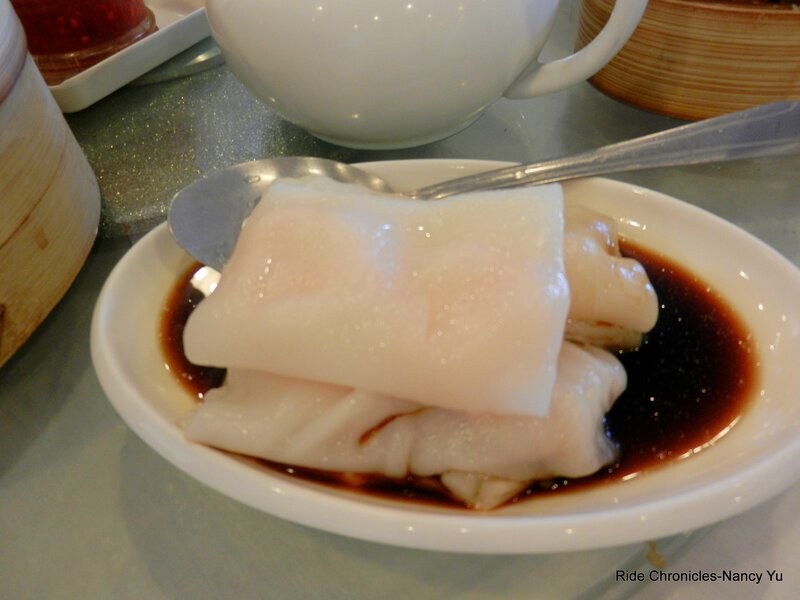 For me, it’s comfort food-I grew up in Oakland Chinatown and worked in a Dim Sum restaurant as a waitress and short order cook. 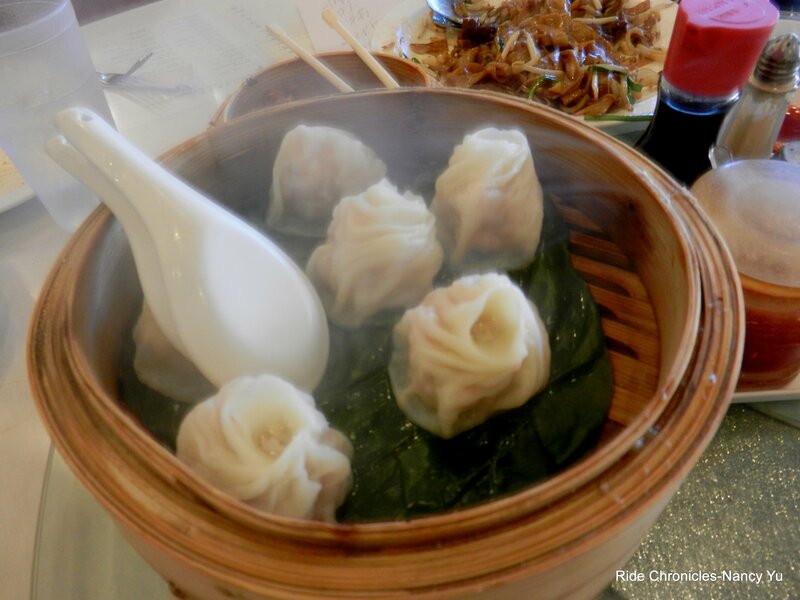 I always order too much-we have Shanghai Dumplings, Chicken Feet, Lotus Rice, Beef Meatballs, Pork & Shrimp Dumplings, Pork & Preserved Egg Congee, BBQ Baked Pork Buns, Shrimp & Beef Rice Rolls and Beef Chow Fun. It’s all very tasty and filling. This is another “would come back” to place. 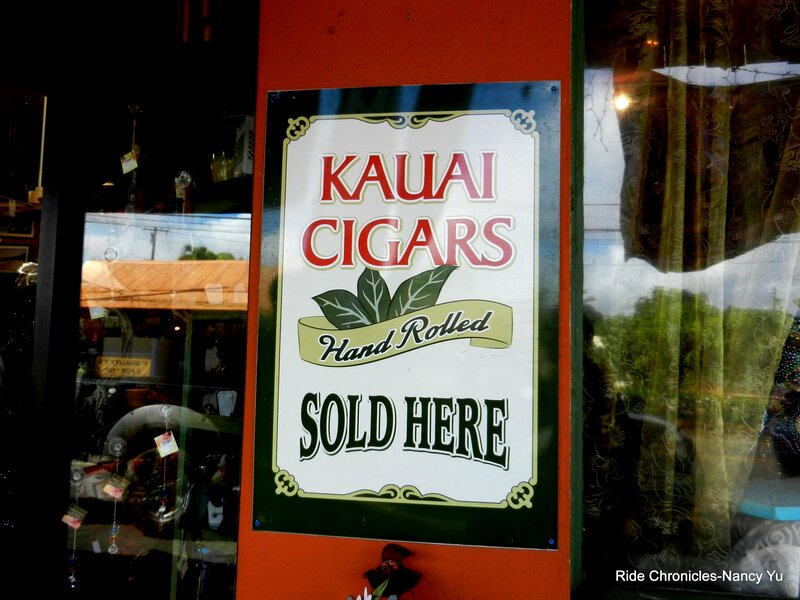 Now we’re ready for the drive on Kamehameha Hwy out to North Shore. 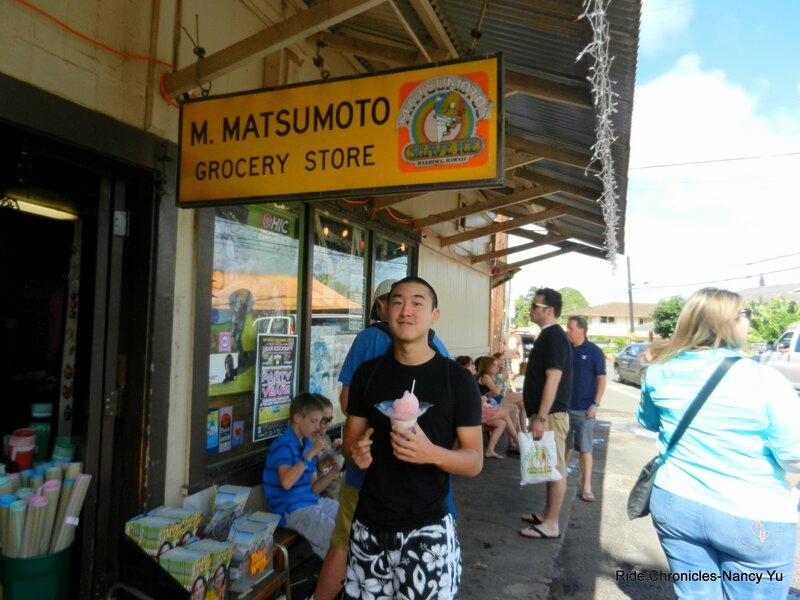 We drive pass the Dole Plantation and make our way to Haleiwa Town for a stop at Matsumoto’s Grocery Store. This place is packed with tourists and is renowned for their Shave Ice, so here we are! 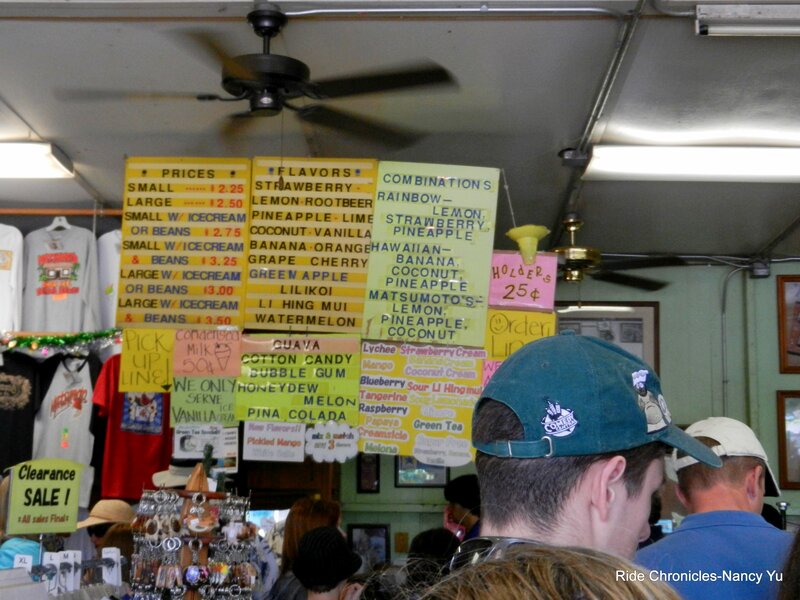 We get in line, order a small shaved ice with vanilla ice cream & azuki beans topped with homemade guava syrup. It’s more than enough for all of us to share. It’s pretty good; the syrup is light and not too sweet. 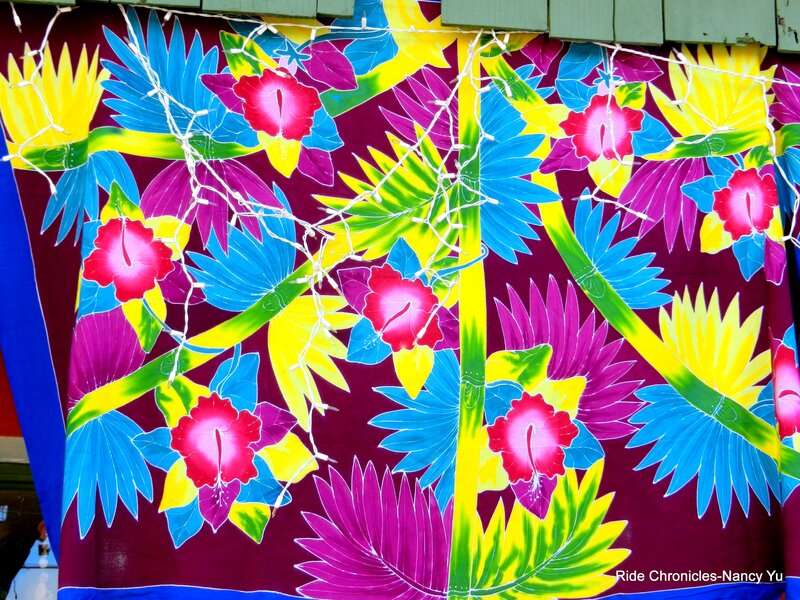 This little historic town is really hopping-there’s plenty of restaurants, cafes, and boutiques; there’s something for everyone! 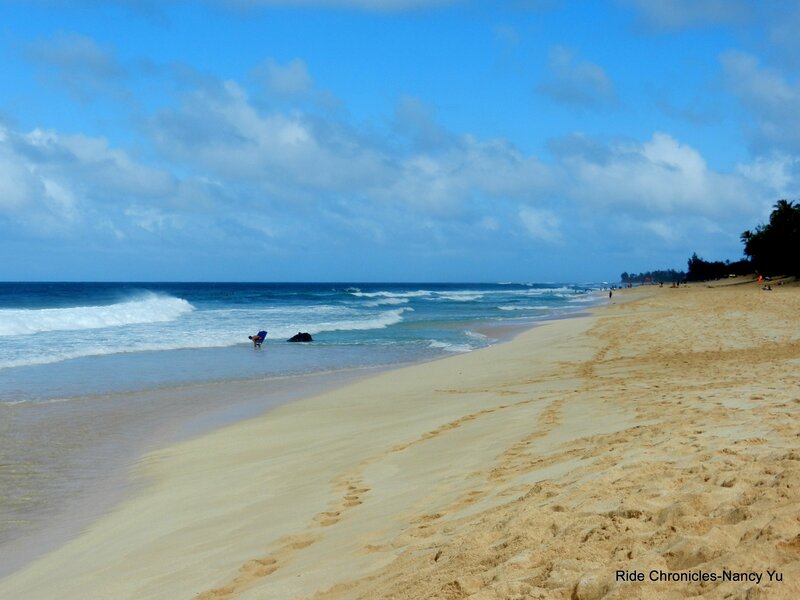 We continue our drive on Kamehameha Hwy and stop at Pipeline Beach. A stroll along this fine sandy beach is very relaxing; there are pretty little seashells everywhere-the hunt is on! Time flies when you’re having fun; the weather is changing quickly and the rain clouds are on the move. The rain arrives faster than we can leave, we get caught in a heavy down pour-we’re too slow! 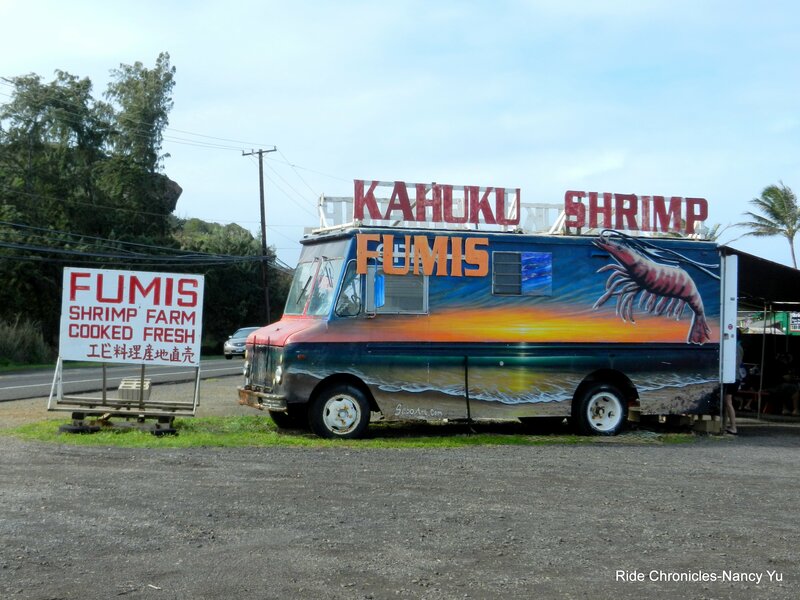 We’re back at the car, stay on Kamehameha Hwy and come across the Kahuku Shrimp truck next to Fumis Shrimp Farm. They have a covered seating area with a porta-pottie and washing station. No one is up for eating a $13 plate of shrimp so we bypass this possible food stop. 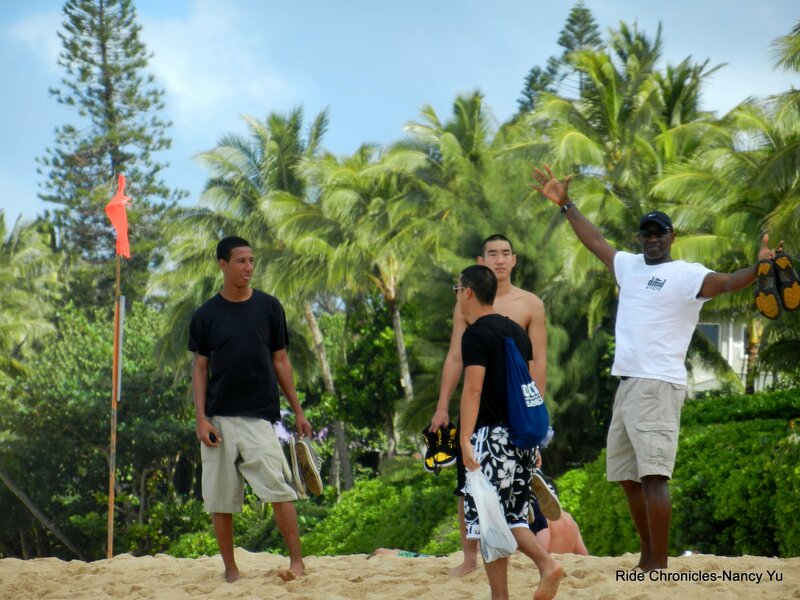 It’s already midafternoon, so we decide to head back to Waikiki. 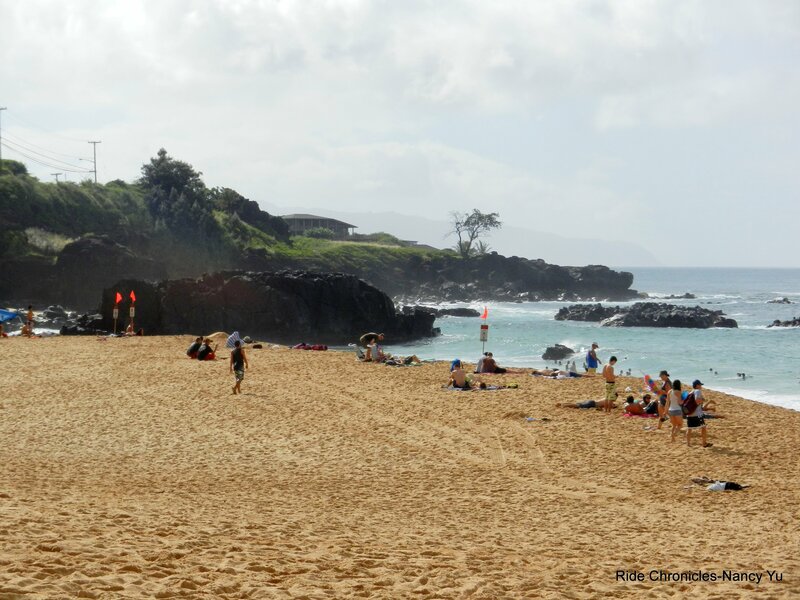 On the return drive, we stop to check out Jericho’s favorite place-Waimea Beach Park. He likes to dive off “The Rock” into the ocean! 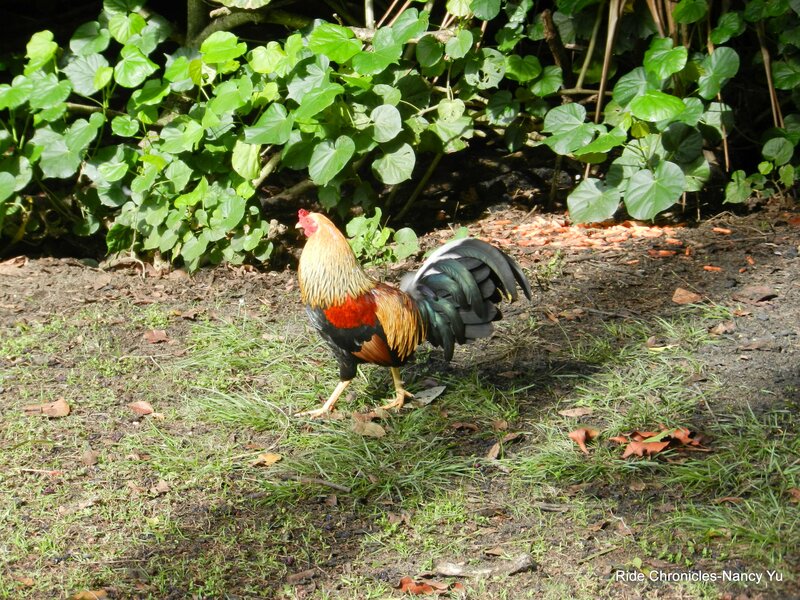 I see chickens with gorgeous colored feathers running around a grassy picnic area. 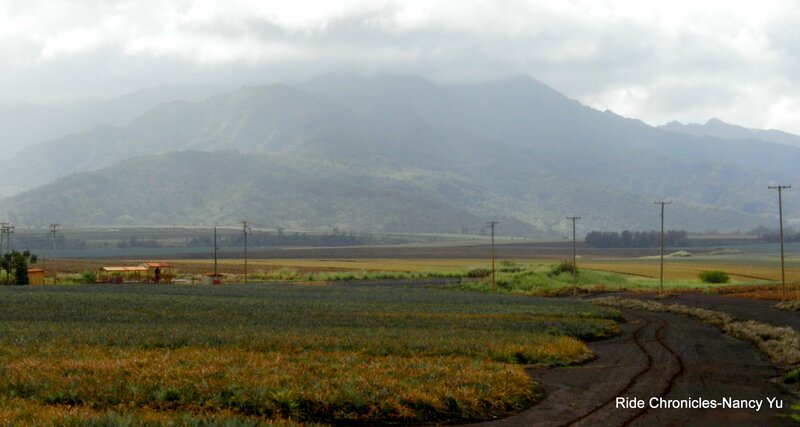 The Waianae Mountain Range comes into view as we continue our drive back. Everything is so green and lush! 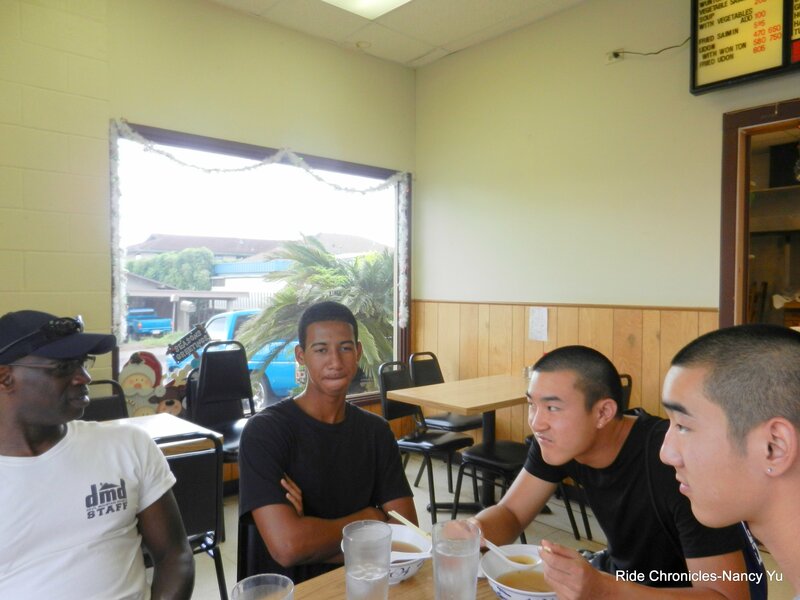 We make a late lunch stop at a saimin place in Wahiawa. 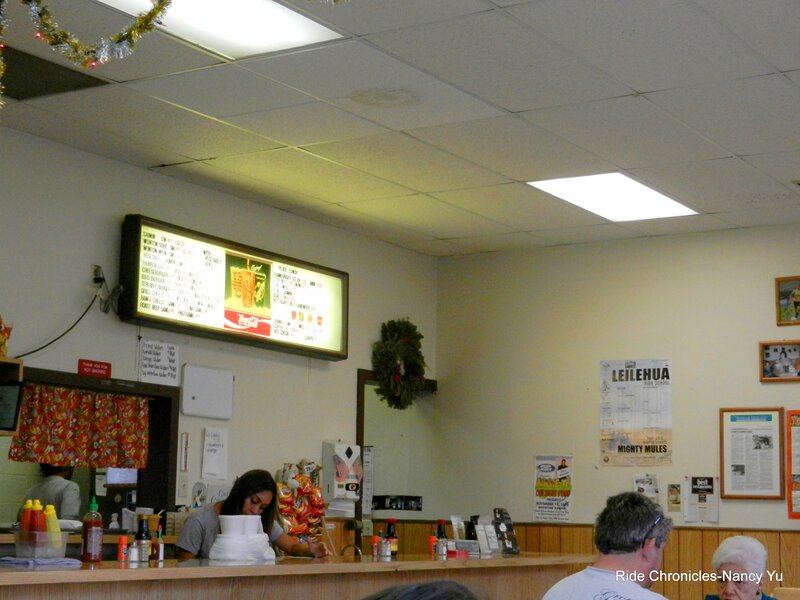 Shige’s is located in the back of a old strip mall with plenty of parking. 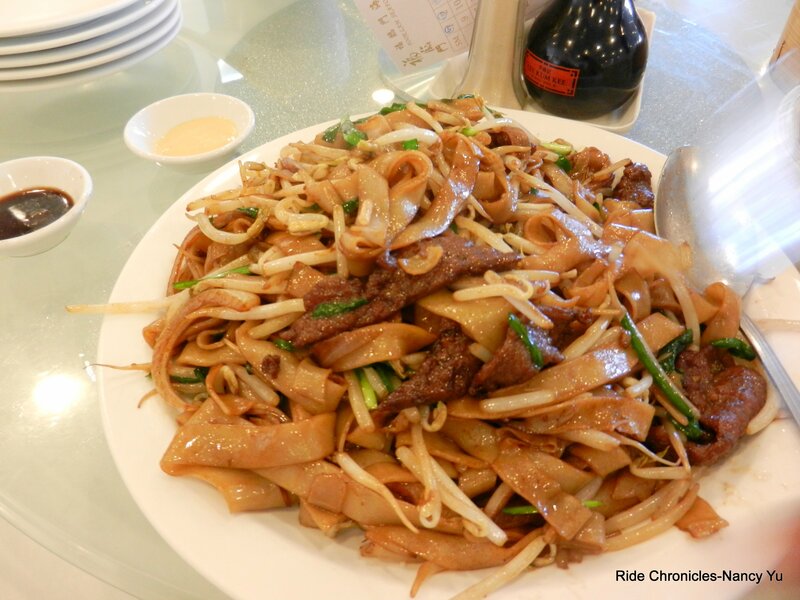 The saimin noodles are homemade; hot soup and noodles go hand in hand-it should be good. 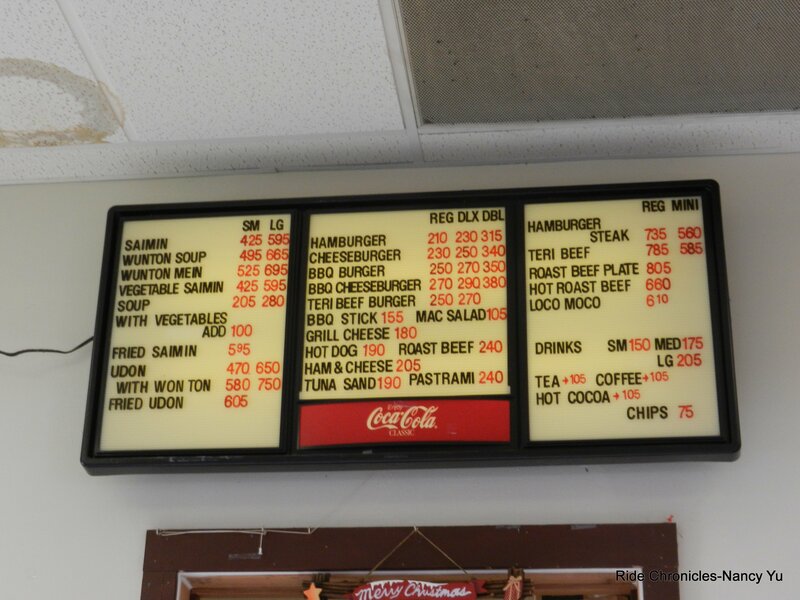 This place is “old school” with old school style food, decor and prices. Service is also fast and friendly. 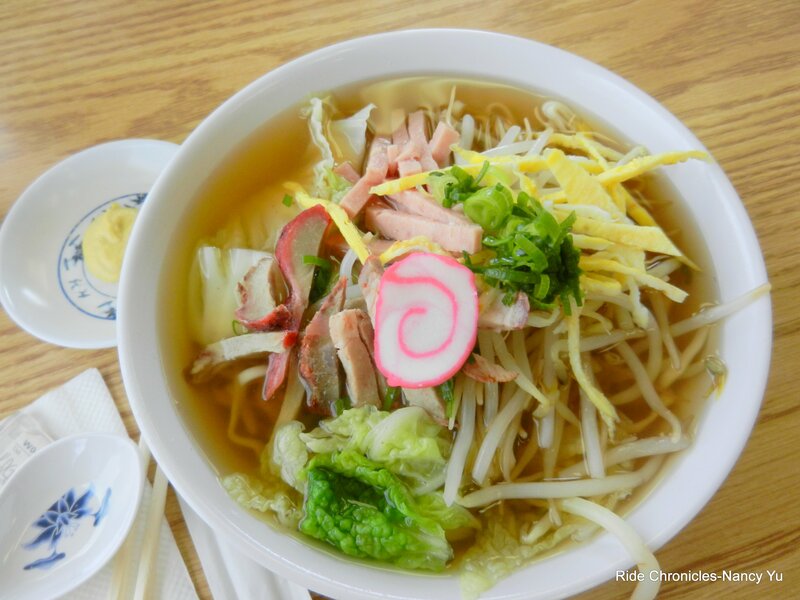 Everyone ordered a small bowl of saimin which includes strips of spam, char siu, fish cake and egg strips. 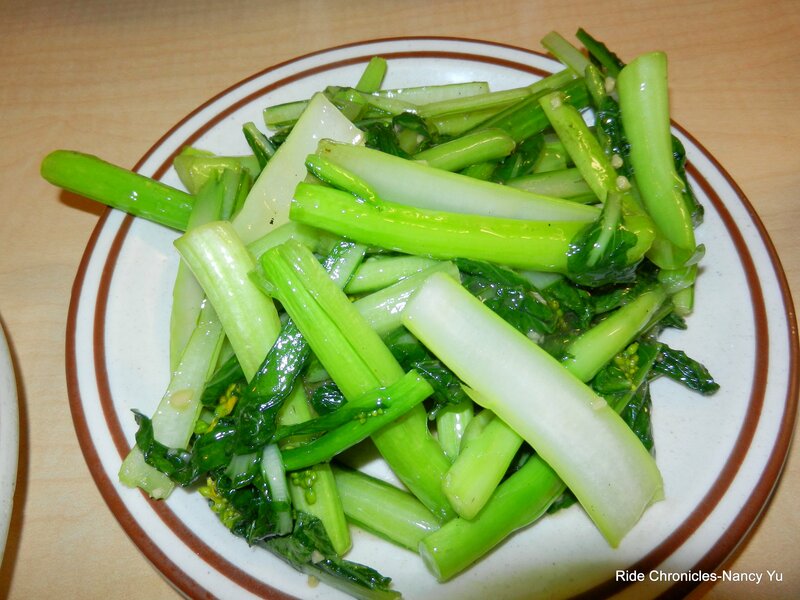 I added vegetables with mine; Napa cabbage and bean sprouts. The soup was a tad salty and the noodles had a little bite to them. Overall, it was pretty good-we all enjoyed the meal. The hamburger and wonton soup looked pretty good too! 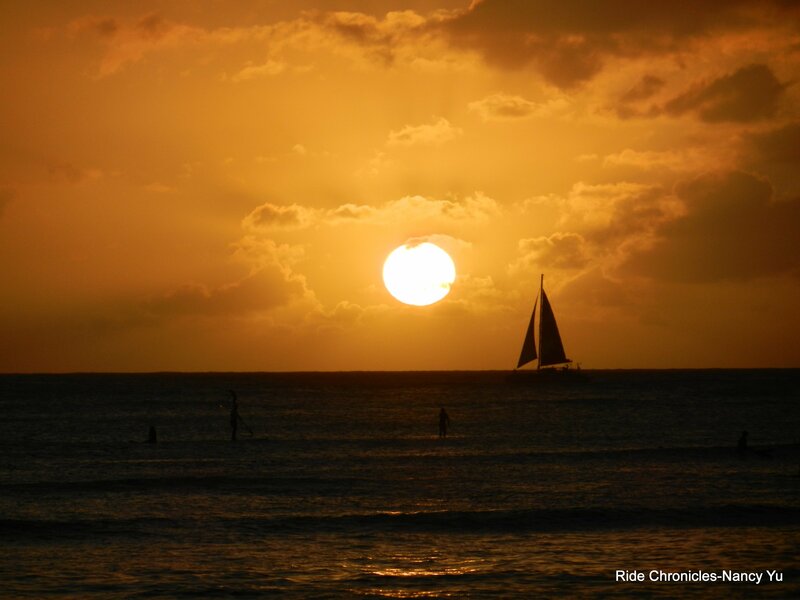 We dropped Jericho back home and arrived at Waikiki just in time to watch the sunset. Everyone’s out on the beach getting ready to do the same thing! It’s absolutely gorgeous-what a spectacular image to have on mind to end the day! For a late dinner, we went to a fantastic place right around the corner from the hotel. 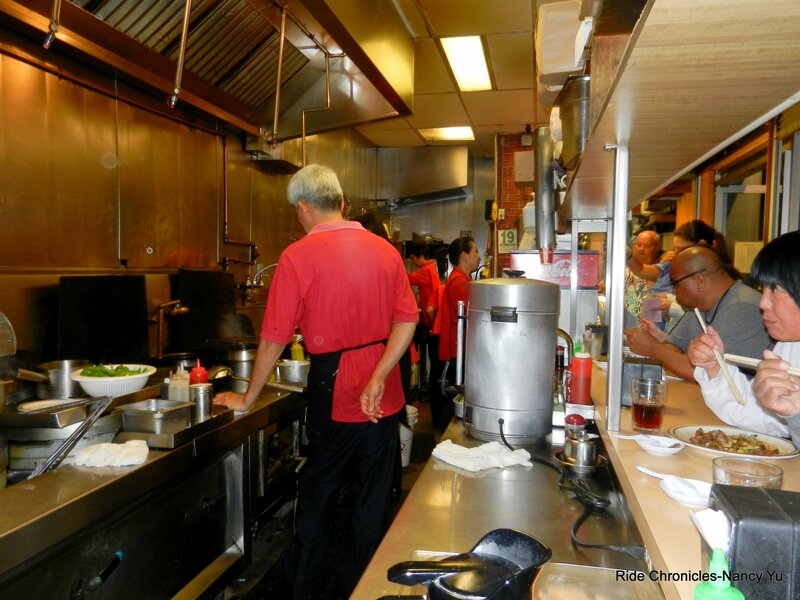 It’s located in a side alley off Kuhio Ave.
Fatty’s is a “dive”, I know-I used to work in a similair looking kitchen in my younger days. This place is small with limited counter seating of about 10. Don’t order from the steam trays of pre-cooked foods; order something off the menu. They’ll cook it right in front of you and it’s fast & fresh! 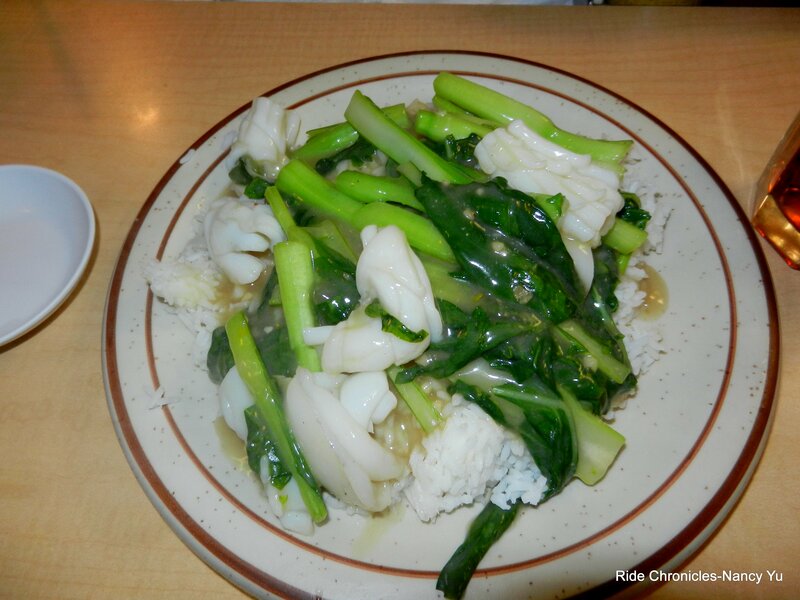 Michael and I shared a plate of Stir Fried Squid with vegetables over rice & a plate of garlic Yau-Choy-both plates were equally delicious! I could taste the “wok’s breath” with every bite. 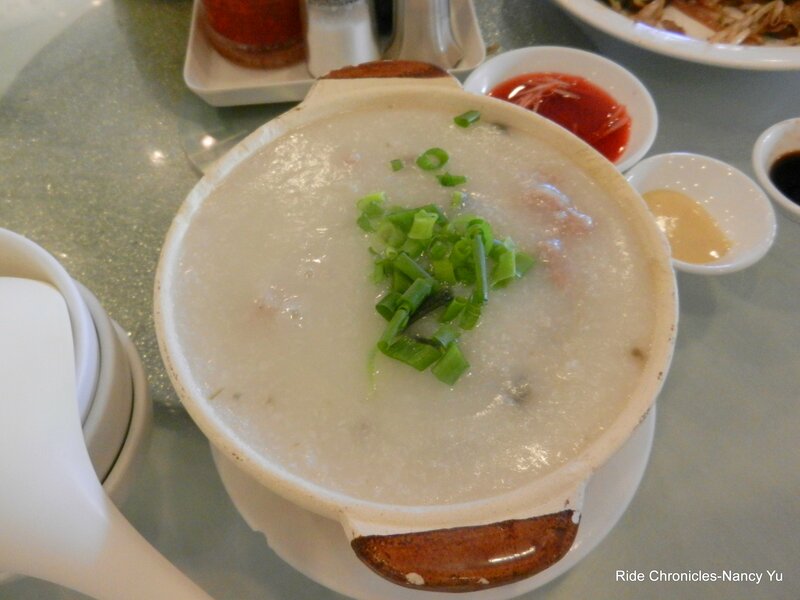 This is the place to go without having to head into Chinatown. This is a definite place to come back to! I’d like to try other items from the menu. Where’s Arick & Bryan? MIA-they decided to lounge at the hotel and get something on their own later. 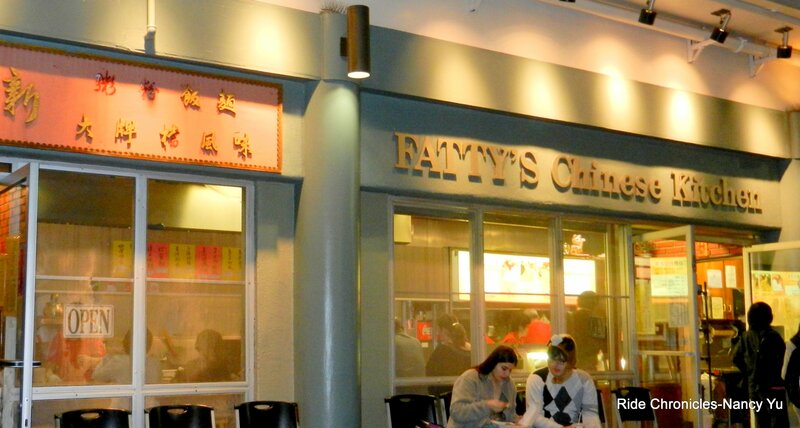 Having dinner at Fatty’s was a fine way to end the evening. Tomorrow is another day! 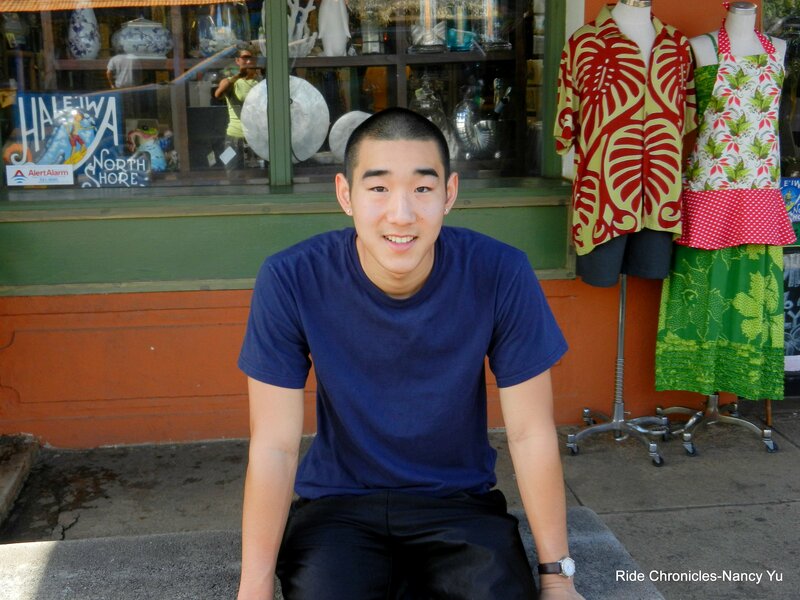 ← Previous Post Hawaiian Holiday-Oahu Day 3-Green Sea Turtles Sightings! 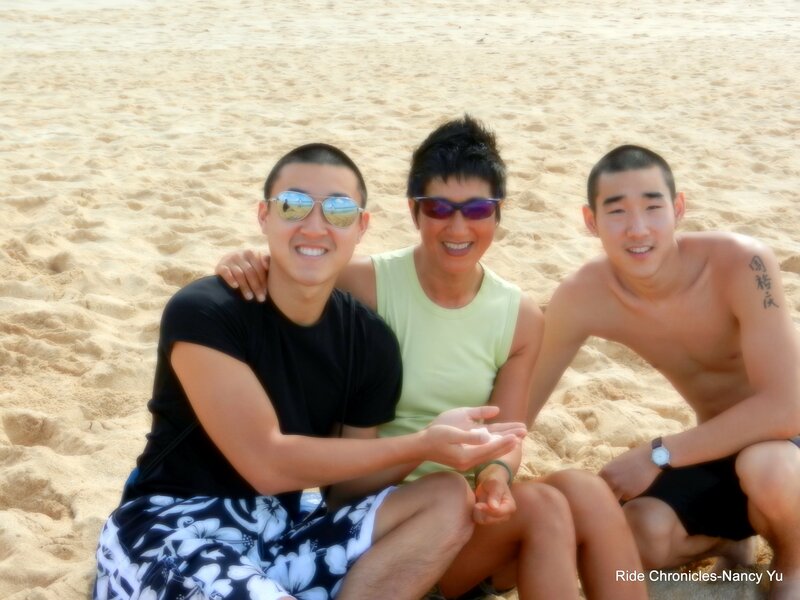 Thank you for sharing with us your fun filled days in paradise. It is a nice break from your biking log! 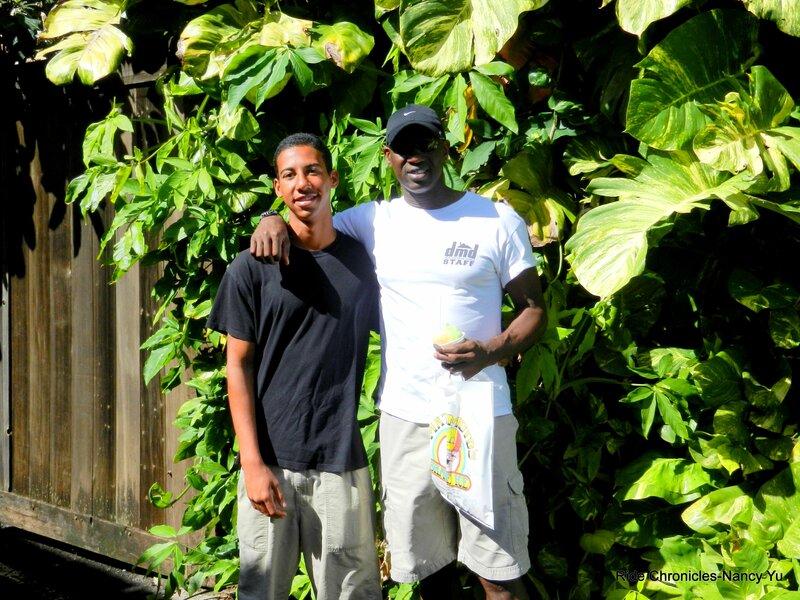 Your passion for food and life comes through. Hmmm….maybe a change in base camp is order? I can totally see that!